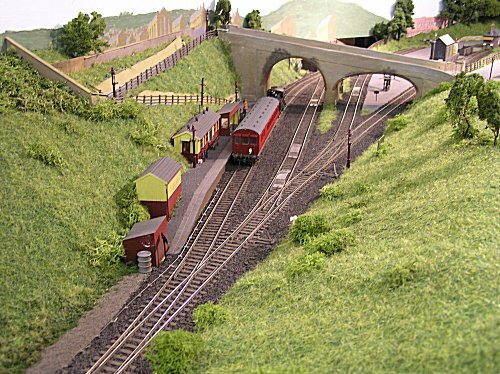 Holywell, a small town in Flintshire, was served by a short branch line from Holywell Junction on the North Wales coast main line. 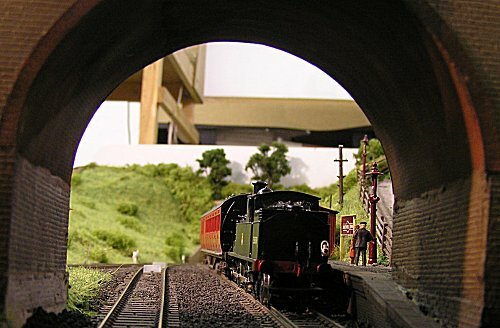 The line was opened by the LNWR in 1912 and closed to passengers in 1954 and to goods traffic in 1957. The line, with a gradient of 1 in 27, was the steepest adhesion worked passenger carrying line in the country. Because of the gradient all trains were propelled up the branch. Today the line is a footpath and cycleway. 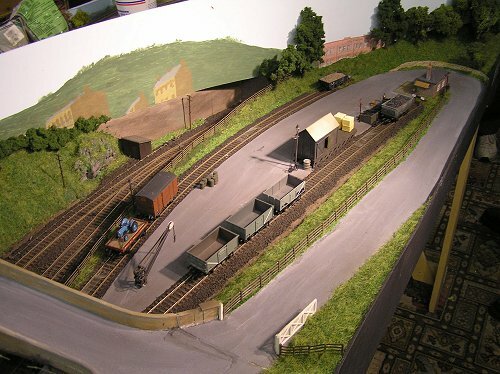 The model is based on the terminus at Holywell town in the late 1940's/early 1950's and measures 8' 6" by 2' 0". Trackwork is Peco code 75 finescale and control is through a Gaugemaster handheld feedback controller. The branch train at the terminus. A quiet spell in the yard. 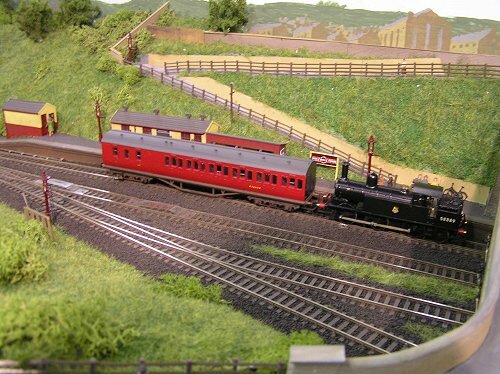 The Holywell local about to leave for the junction. Looking towards the end of the line at Holywell Town. 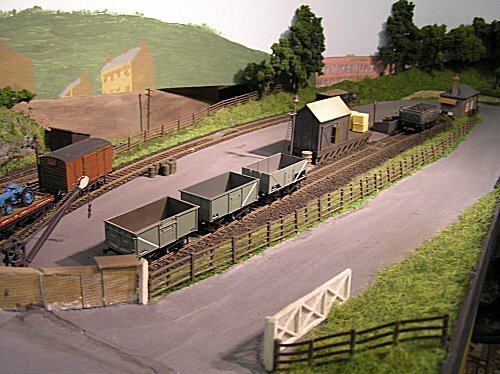 Shunting the goods yard was anything but easy!